Welcome to Ebright & Smart Family Dentistry – your new dental home in Londonderry. 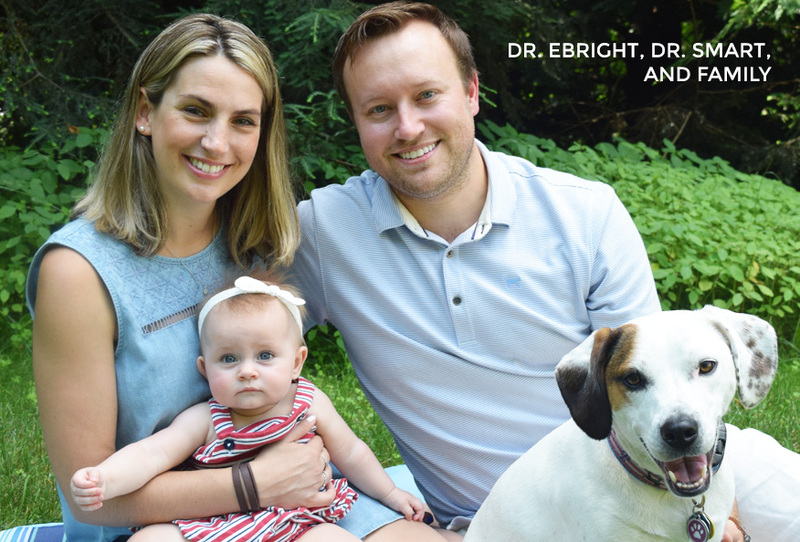 At Ebright & Smart we strive to provide quality, comprehensive care for the entire family. It is our goal to treat every patient with compassion and respect in a comfortable environment. We hope to build long lasting personal relationships with all of our patients, helping them achieve and maintain their oral health. We pride ourselves on treating every patient like family. We look forward to meeting you and welcoming you to our practice. The secret to lasting oral health is simple: stop problems before they start. With regular comprehensive care from Ebright and Smart Family Dentistry, you can prevent oral health issues and enjoy a beautiful smile that lasts a lifetime. Get back the smile you used to enjoy. After years of wear and tear, injury, or poor care, your teeth could use a rejuvenation. Dr. Ebright and Dr. Smart can change your life through restorative treatments! You can have the smile you’ve always wanted with the help of cosmetic care from Ebright and Smart Family Dentistry. Correct crooked teeth, spaces between your teeth, chipped teeth, broken or missing teeth, or stained or discolored teeth. From porcelain veneers to whitening treatments, we have your smile solution! Invisalign™ uses clear, removable aligners to incrementally straighten your teeth, with no uncomfortable brackets or wires. Ask your dentist to learn more! As the prosthetic that most closely mimics nature’s design, dental implants don’t have the problems associated with traditional dentures. Each implant is strategically placed to create a solid foundation for a crown, bridge or denture. Ask about how implants can change your life!